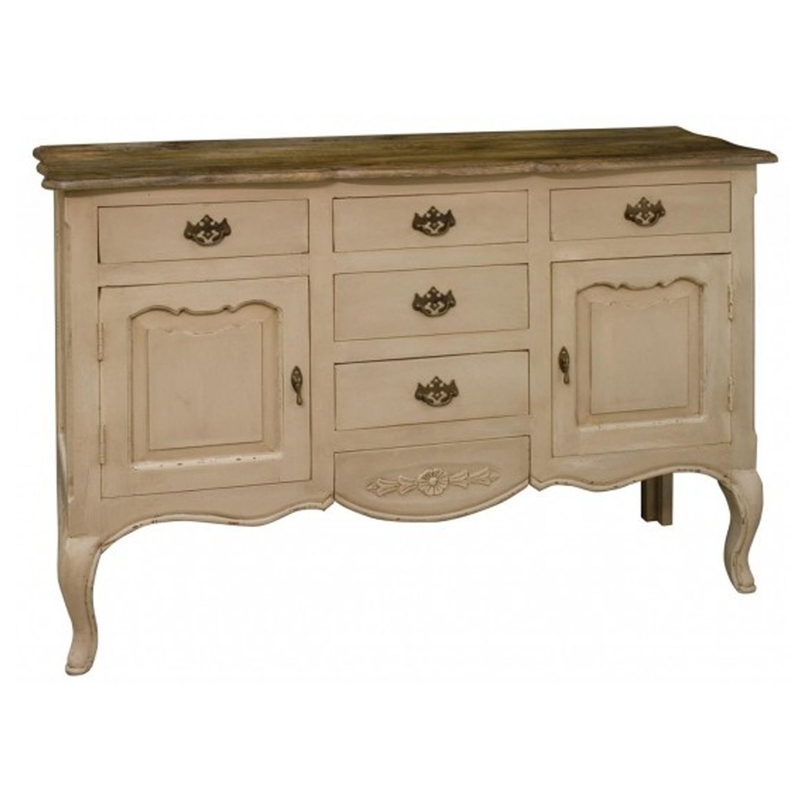 This beautiful sideboard is part of the Amberly Collection. It has a lot of drawers and space on top making it incredibly practical. It's not only useful, but it looks stunning. With it's gorgeous Shabby Chic style it's sure to spruce up the room. It'll make your home feel more complete and would fit perfectly along side more of the Amberly collection or around other Shabby Chic furniture.